Pandora’s Box – Creating new Opportunities | What More Can There Be? 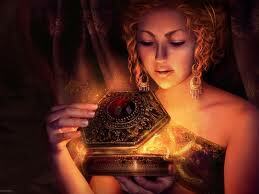 Pandora was given a box by the Greek God Zeus and forbidden from ever opening it. Of course, curiosity eventually overcame her. As she prised off the lid, to her horror she released all the ‘evils’ into our world. This means that while the root cause of our current economic and organisational dilemmas can therefore be attributed to Pandora, so can the cure. As Pandora stared into the vessel, luckily, at the very bottom, one thing remained. How can you unlock this mindset? The great breakthrough will come from thinking differently about what you are doing. Ask, ‘what more can there be?’ Better solutions with great possibilities do exist for those who look from a different perspective. A highly profitable new market was born. This entry was posted in Uncategorized on November 16, 2011 by dave5621.